Bathrooms and powder rooms are high traffic areas. 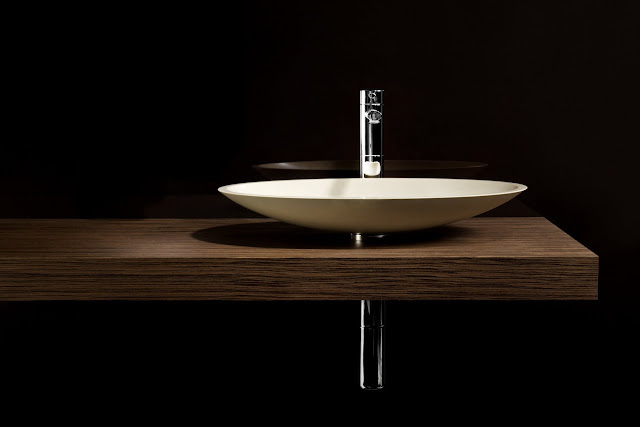 Wash basins that balance form with function will reward you with timeless appeal and superior performance. That’s why Minosa has selected Corian® by Du PontTM as its material of choice. Non-porous, stain, chip, crack and mildew resistant, the low maintenance material simply needs wiping over with a damp cloth and is also repairable if scratched. The clean lines of Minosa’s seamless Scoop and ScoopED is void of crevices that attract soap scum build up. Do you need to dam water in a wash basin for bathing or would a free flowing basin that doesn’t hold water be preferable? The Puddle by Minosa is a shallower design that has a free flowing waste while Kava, Mimmee, Ovo, Scoop, and ScoopED all allow the water to be dammed if desired. What material is best for a wash basin? Hygienic qualities, maintenance needs, durability, environmental impact, size, mounting, appearance, feel and colour choice are collective factors to weigh up when selecting a wash basin and the material that it’s made from. 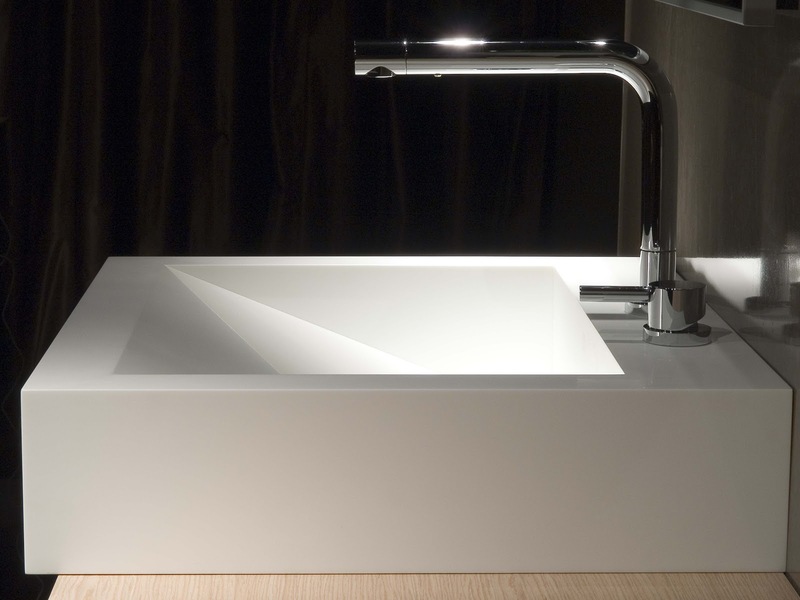 All Minosa basins are manufactured from Corian® by Du PontTM in an expansive colour palette. The Category 1 range is a selection of whites, while the Category 2 range of neutral tones are in keeping with today’s earthy palette and contain 13% of recycled content. 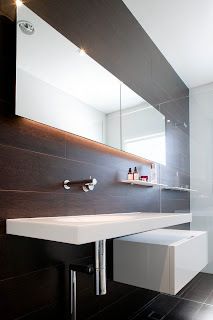 Corian® by Du PontTM is the original solid surface material. Minosa hand makes each wash basin to order, which results in a level of refinement that’s not possible in mass production. Aesthetically, Corian® by Du PontTM feels like silk, has the hygienic properties of stainless steel, and looks like natural stone. 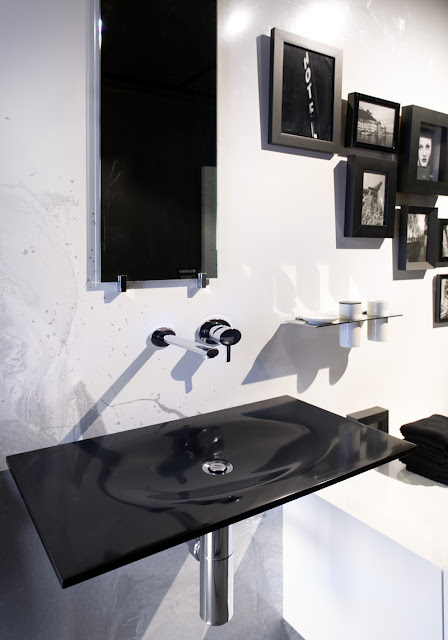 What size wash basin will suit your space? 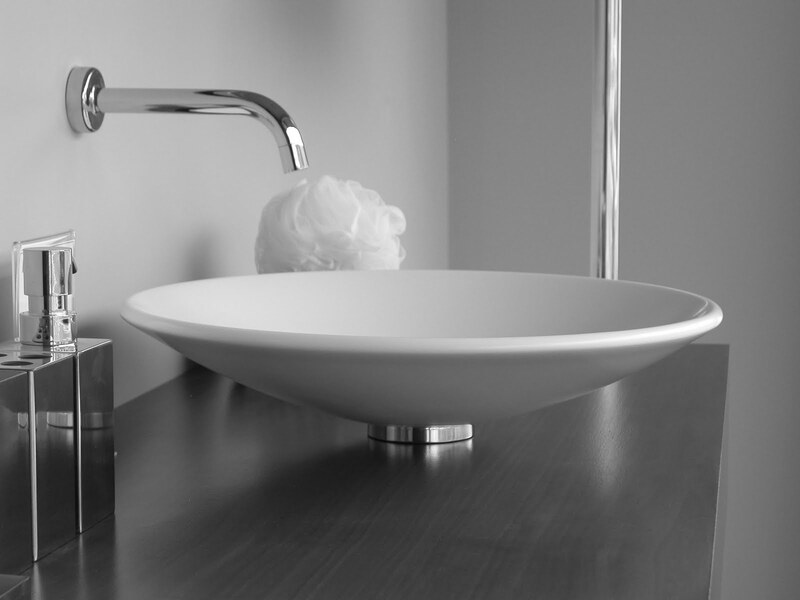 Wash basins come in an array of sizes, shapes and forms. Each Minosa wash basin offers the flexibility of being wall or above counter mounted. Wall mounting will evoke a sense of floating with less intrusion on a space, while above counter mounting can be integrated with storage. Chunkier style basins such as Mimmee are better suited to medium and larger size bathrooms where their bold sculptural form can be fully appreciated. The clean lines and simplicity of the integrated bench mounted ScoopED will evoke a minimalist ambience. The Puddle which has a free flowing waste, is an ideal solution for powder rooms or bathroom situations where damming of water isn’t required. How the shape of a wash basin can change the look and feel of a bathroom. 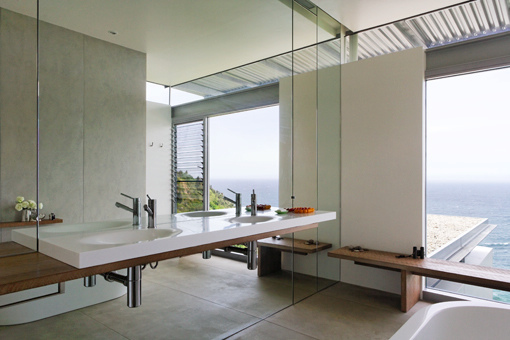 Today’s bathroom provides a tranquil escape from everyday bustle and stress. A beautifully refined wash basin can be a sculptural centrepiece or a discreet wall mounted element. Different forms can change the mood of a bathroom. Scoop is designed to blend with its surrounds. It beautifully juxtaposes modern design with its shallow, subtle concaved surface while exuding a slickness that also caters for classic modern to edgy modern. Consistent with the current trend of integrating bench and bowl, ScoopED creates a very clean look which can be accentuated with tiles or mirror behind. The industrial, trough style Mimmee’s sharp and crisp appearance, is most at home in more hard edge bathrooms or where a design statement piece is sought. For WOW factor in a powder room or for bathroom, The Puddle’s slight curvaceousness organic shape will suit people that want to make a statement. Kava balances classic style with minimalist, timeless design. The attractive contradiction of classic organic form combined with striking hard edge detail of Minosa’s Ovo caters to many bathroom styles, however its sensual aesthetic and shallow simple outline favours contemporary settings. 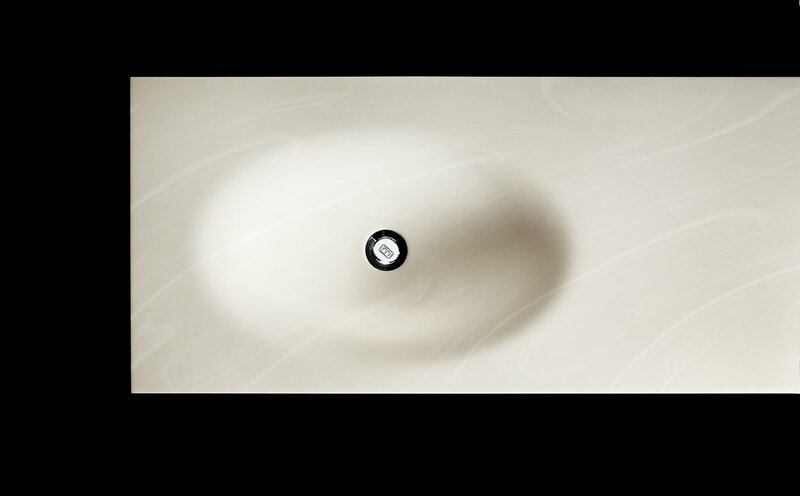 It makes no difference whether a bowl is shallow or flat or deep and large - preventing splash is all about having a tap with reduced waterflow. Extensive research undertaken by Minosa Design has established that a water flow rate of 4 to 6 litres per minute is perfectly adequate for performing daily bathing routines (as opposed to the industry average of 20litres/minute) - meaning that the water will actually conform to the shape of the bowl rather than repel against it. Do I need a single or double basin? To help decide whether you need a single or double basin - consider how many times you actually need to use a basin at the same time as someone else. 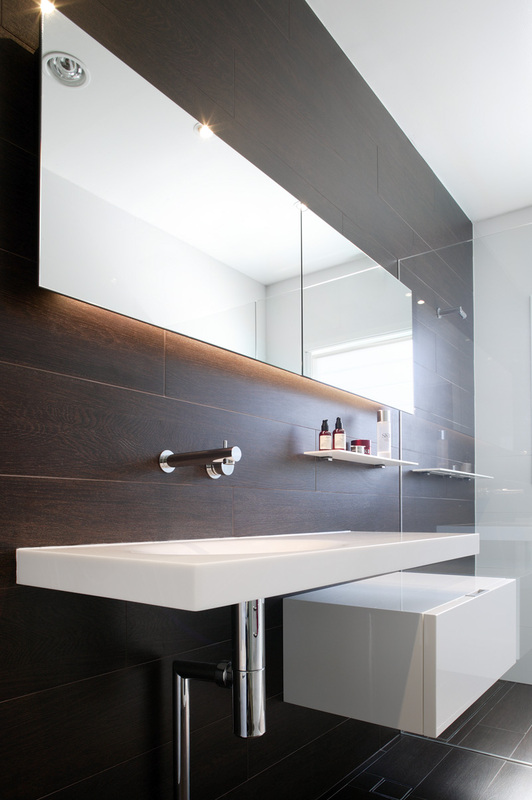 If it’s the mirror space that’s more keenly contested for use, Minosa’s ScoopED (single) basin with a larger mirror above or Hung Lift storage cabinet be an option. Think about how much space you like to have as a work zone or a set down space. ScoopED offers a choice of locations for the bowl within the bench - allowing one person to shave and the other to apply make up either side. If a double bowl is a must, Double ScoopED has 2 lengths: 1600mm or 1800mm. What’s the most environmentally responsible choice? Minosa basins in Category 2 Corian® by Du PontTM contain 13% recycled content. The shallow nature of Minosa basins are designed to work in conjunction with Minosa’sTM water reduction device, potentially cutting 28,000 litres of water per basin per year. Minosa wash basins have a water saving, restricted 1.4 litre bowl capacity compared to the industry average of 5-8 litres. Corian® by Du PontTM is low VOC-emitting and unlike porcelain, it can be created into another product at the end of its life-cycle. The local Sydney based, boutique, make to order manufacture of Minosa basins ensures minimal wastage and a low carbon footprint.